If there's one thing I really love around this time of year it is that the coffee shops bring out all of the festive drinks. 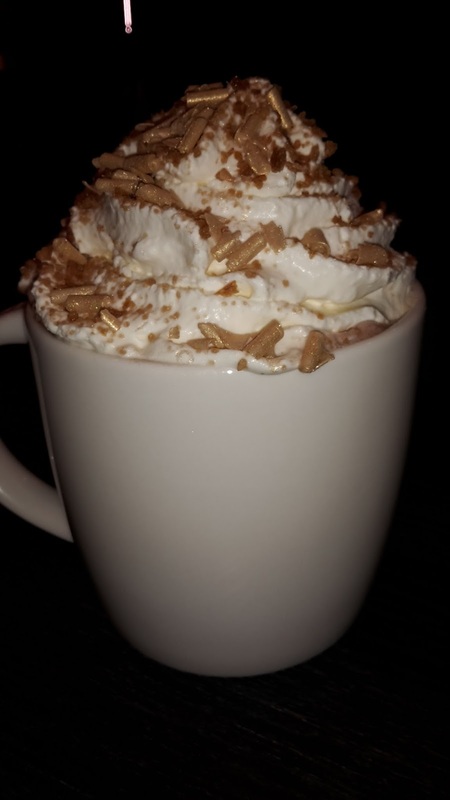 I always opt for a festive hot chocolate- always! So I thought I would share with you my favourites from Costa and Starbucks this year. 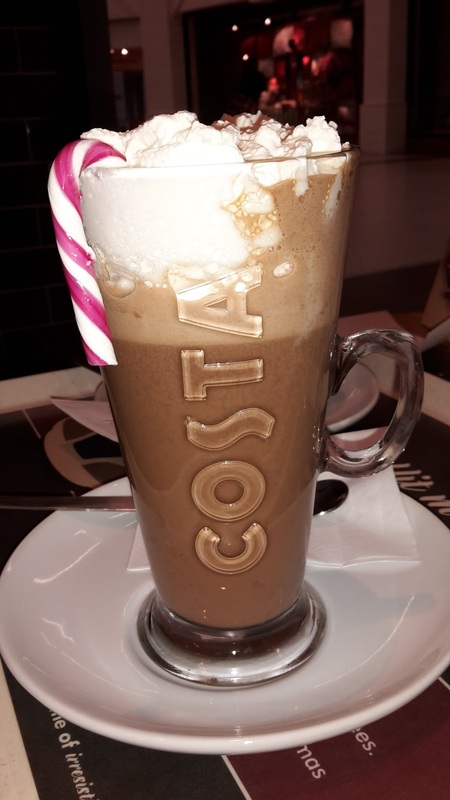 First up was the Costa Mint Hot Chocolate this tasted divine and you even got a mini candy cane - so cute! Secondly Starbucks also did a Peppermint Hot Chocolate which tasted amazing (no candy cane) but if you prefer Starbucks to Costa there's your alternative. Starbucks also has a White Christmas Hot Chocolate - I'm a sucker for White hot chocolate so I gravitated towards this like a bee to a flower. The thing that makes it festive was cinnamon and possibly some other spices. While it was nice it doesn't top the peppermint hot chocolates. Lastly also from Starbucks (you can see where I go more often) was the Fudge Hot Chocolate (pictured below - yes I take photos of my drinks), which was enjoyable and you got a lot of whipped cream and a lot of toppings but wasn't my overall favourite. Those are the festive drinks I have tried this year from Starbucks and Costa. Have you tried any of these what did you think? Which was your favourite?